Author Michael Helm will read from his critically-acclaimed new novel, Cities of Refuge on Monday, Oct. 18 at 7 p.m. in the Ganong Hall Lecture Theatre. 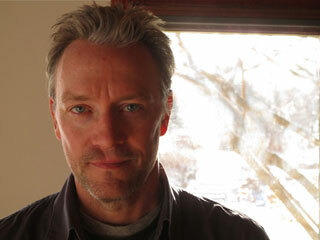 Michael Helm's debut novel, The Projectionist (1997), was shortlisted for the Giller Prize and the Trillium Award. His second novel, In the Place of Last Things (2004), was a finalist for the regional Commonwealth Prize for Best Book and the Rogers Writers' Trust Fiction Prize. A novelist and essayist, he teaches at York University. The reading is hosted by the Lorenzo Reading Series and the UNB Saint John Bookstore, and supported by The Canada Council for the Arts. Admission is free and all are welcome to attend. For more information contact The University Bookstore at (506) 648-5540, inprint at (506) 648-2315, or email sjbooks@unbsj.ca.